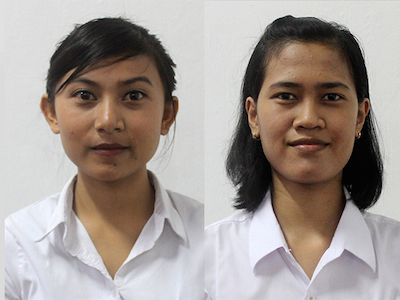 Mimi + Marge is proud to be sponsoring two young women from ​Indonesia​ in the Bali WISE (Women of Indonesia Skills Education), which ​is​ committed to making a difference to the lives of Indonesian women​ by breaking the poverty cycle through its programs. These ​programs ​include Basic Work and Life Skills, Vocational Skills Training and Gender Equality workshops and seminars. Since 2007, the training programs assist more than 110 women each year to develop skills that allow access to improved employment options. 80% of graduates accessed full-time employment skilled positions with a salary above the minimum wage. For more information or to donate, please contact Bali WISE. Congratulations to Kadek (left) and Marsi (right) who now have a brighter future ahead!